In my Body-Mind-Spirit Functional Medicine and Wellness Support Practice I support whole person balance by providing wholistic services in a unique combination for each individual – including health coaching, energy psychology, digital acupuncture, auriculotherapy, multiple educational self-help resources, as well as a variety of hands-on and training services and packages as listed below. The focus of all my wholistic services is health and wellness, and this simple assessment is the most affordable over-all health assessment on the market. It can easily be accessed on-line via computer and completed within about ten minutes. For consult purposes it provides me with information on the body’s meridian systems, energy blockages, and its treatment priorities. I can easily read the results and provide you with clues on what might be causing your dis-ease of body-mind-spirit without you giving more information, and I’ll be happy to share my general evaluation with natural suggestions for moving forward toward better health & well-being. Learn more. . .
Because many people learn best on their own, I’ve packaged certain services for self-study. The information and processes that I share cover a wide range – from life to business – for visioning, planning, strategizing, un-blocking, attracting, and they cover the areas of health, love, and wealth. 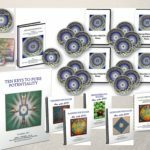 Both my Abundance Packages series and the EFT Planning series utilize a variety of energy therapy and self development tools that you’ll be able to apply in many areas of your personal and professional life. Each package includes a written e-guide with multiple mp3 recordings for your self-study enjoyment and growth. Learn more. 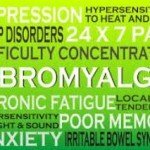 . .
Autoimmune disorders negatively impact our society, with over 80 million Americans currently suffering and 5-10% of any population, mostly women, predicted to suffer from autoimmune or other chronic conditions in the future. Join a group of like-minded others seeking natural relief from similar debilitating illnesses by signing up here for the Autoimmune Coaching Support series – now in its 6th year! The series is free when you register, and now you have an opportunity for Personalized Coaching for a much-reduced fee. Register now. 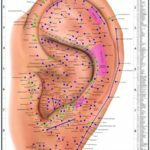 . .
One of the most precise and fastest acupuncture treatments available is auriculotherapy, or acupuncture of the 300 points located in the ears. 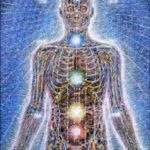 Using my special diagnosis protocol and electromagnetic stimulation device I can find and painlessly treat the meridian points that need attention for your issue, acute or chronic. This works especially well for many conditions including: pain, anxiety, addictions, energy imbalances of the body or emotions, arthritis, and more. Treatment plus energy consult is included, and a monthly package is an option. Register now. . . The AcuGraph digital acupuncture assessment instrument is a non-invasive computerized device that measures and graphs your meridian energy channels. With the information that this provides I can better treat your imbalances of body, mind, or spirit using specialized and safe light lasers – without needles. This process is very accurate and takes much less time than traditional acupuncture,… and it fits right into my Energy Psychology / Natural Health practice! You may schedule your in-person session at my local Mt. 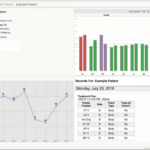 View Retreat office, and all in-person laser acupuncture sessions receive extensive follow-up digital meridian assessment reports by e-mail. Register now. . . The digital / laser acupuncture treatments as well as the auriculotherapy sessions are very popular and the results are amazing… in how the body and the mind-spirit react and re-balance. The non-intrusive lasers or electro-stim device are painless and take much less time than traditional needles to make a difference. This discounted package is spaced over a month, and offers three in-person assessments with treatments plus e-mail pdf reports. This is a great option for local clients who wish to maintain balance and just keep getting better! (I personally love this regular treatment protocol, and my graphs keep getting better and better each week!) Register now. . .
As an experienced Reiki Master of the Isuhi Shiki Rioho lineage, I naturally use Reiki energy in all of my in-person and phone sessions. Sometimes a person requires hands-on or focused distance energy work, and I offer that special treatment as a potent option for my clients interested in health and wellness as well as those who have suffered physical traumas or abuse in their pasts. 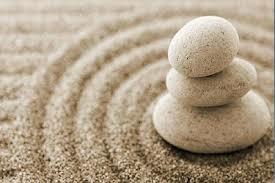 Reiki offers a gentle re-balance of the body-mind-spirit without negative intrusion or side effects. Register now. 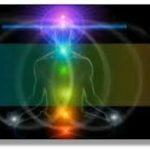 . .
Often in my energy psychology sessions I find a deep self-sabotaging blockage that might go deeper than the DNA or far past for a client, and this is when I pull out my specialized Soul Realignment(c) tools. This research and clearing service may be offered as part of a regular monthly energy therapy coaching series or it can stand alone as a special service to support the un-blocking of your life to its Divine potential. You will receive an hour-long phone reading with recording and suggestions on life issues around which you can be more aware as you make future balanced choices in your life. Learn more. . . If you are new to Energy Psychology or Naturopathic Medicine, or you simply feel you need just one session at a time, I am offering here that option. This is for short-term clients as well as people who need my functional medicine approach on a session-by-session basis. You may register for one personalized by-phone or in-person session and your extensive history will provide me with all of the additional information about your case that I will need. Register now. 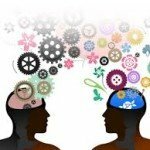 . .
Often two people deeply share an issue or condition and request a session together. This can be focused on their personal relationship, on work they perform together, on a patient-caregiver connection, or more. Both individuals in the session will provide the Pre-session Intake Forms and will participate together during the session. This is normally an in-person session in my Mineral Bluff, GA, office. Register now. . . 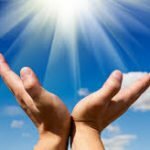 In the many years that I have offered energy psychology and natural medicine services, I have learned that each individual is totally unique and requires a specially customized program. Usually a minimum of six weekly sessions will make life-changing difference in your over-all health and life balance. For this reason I offer several discounted packages that are tailored for your body-mind-spirit needs. You may choose whole person support for your Health &/or Autoimmune disorders, for Trauma Support, or to enhance your Creativity & Success. The monthly fees for each program are the same, and phone sessions receive mp3 recordings of the sessions while in-person sessions receive additional modalities including acupuncture / auriculotherapy when needed. 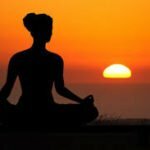 These one, two, three, or four-day retreats support your deep healing on all levels as you rejuvenate in the beautiful southern Appalachian Mountain setting around Mineral Bluff, GA, getting away from the stresses of life at home. Each participant receives two in-person energy therapy coaching and support sessions per day with a rest in-between for lunch, nap, meditation, walk in the woods, or hot-tub soak. Up to two digital/ laser acupuncture treatments will be included in this therapeutic healing retreat, along with other energy therapy tools. Our resort area is approximately two hours from Atlanta, Chattanooga, Knoxville, and Asheville, and transportation, room & board are not included in the retreat fee structure. Learn more. . . Many of my own advanced clients as well as other professional Health and Wellness Practitioners are now incorporating Energy Therapy modalities into their practices to clear stuck toxic emotions in order to get better results in whatever they do with their clients or patients. 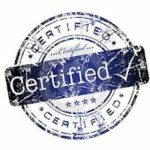 This Certification program has evolved over the years to encompass a variety of energy therapy modalities which each participant experiences first-hand as we use them to clear any resistance to change, growth, success that may be holding them back. The program can be completed in six months or spread out over twelve, and affordable monthly payment packages are available. Learn more. . .
* Prior to providing most services I request a detailed history that gives me information to save time within each session with you.